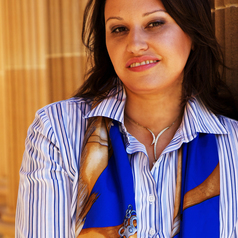 Prof. Larissa Behrendt is a Eualeyai/Kamillaroi woman. She is the Professor of Law and Director of Research at the Jumbunna Indigenous House of Learning at the University of Technology, Sydney. She is admitted to the Supreme Court of the ACT and NSW as a barrister.Larissa is a Land Commissioner at the Land and Environment Court and the Alternate Chair of the Serious Offenders Review Board, a member of the Academy of Social Sciences of Australia and a founding member of the Australian Academy of Law. She is the Chair of the Humanities and Creative Arts panel of the Australian Research Council College of Experts.She is the author of several books on Indigenous legal issues. She won the 2002 David Uniapon Award and a 2005 Commonwealth WriterÕs Prize for her novel Home. Her latest novel, Legacy, is due for release in October this year. Larissa is a Board Member of the Museum of Contemporary Art, a board member of Tranby Aboriginal College and a Director of the Bangarra Dance Theatre. She was named as 2009 NAIDOC Person of the Year.